Hello dearies! Another HG alert :) I'm very excited to share this review because it's very effective and I find it affordable. You all know that I'm a sucker for anything organic when it comes to skin care. As much as possible I want to use organic products from head to toe! So when Natura Organics sent me another batch of their new and exciting products to try, I used it immediately and religiously. 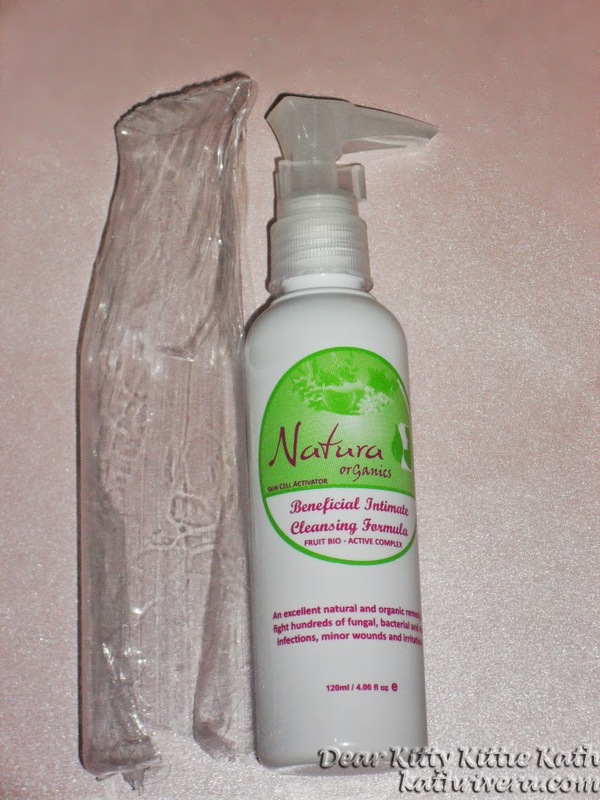 If you're a follower on my Instagram account, I'm sure you've seen the Natura Organics haul that I received last May and upon receiving the loot, I used the Natura Organics Beneficial Intimate Cleansing Formula that day. Are you excited to know my thoughts about this oh so good product? Click CONTINUE READING and smile! An excellent natural and organic remedy to fight hundreds of fungal, bacterial and viral infections, minor wounds and irritations in the genital area. Comes in a sleek bottle with pump and lock. instruction for use: Daily, as often as needed, especially during "heavy" days. Wet area. Pour a small amount onto hand or washcloth and apply. Rinse thoroughly. A little goes a long way. Two pumps is enough to make a good lather. The scent is divine! It's fruity like that of a melon scent. It really freshens and soothes irritated skin specially if there's itching down there. I like the packaging- simple, sleek, with lock and pump. There's a manufacturing, batch and expiry date printed on the bottle. You have to buy it online, I know some prefer to buy directly at a physical store. I give this a 5/5 rating. 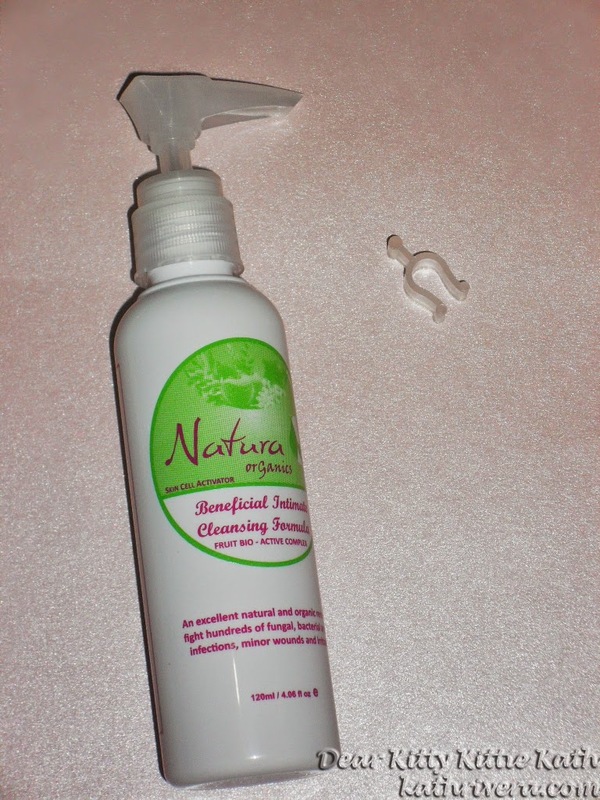 If you're looking for an organic and all natural feminine wash that is affordable then I highly recommend Natura Organics Beneficial Intimate Cleansing Formula. It cleanse gently and contains natural whitening ingredients. It's like buying an anti-aging and whitening feminine wash in one! I swear by this, it's a must have! I'm a loyal user of a popular feminine wash brand before and have tried almost all of their variants but this one is a keeper! 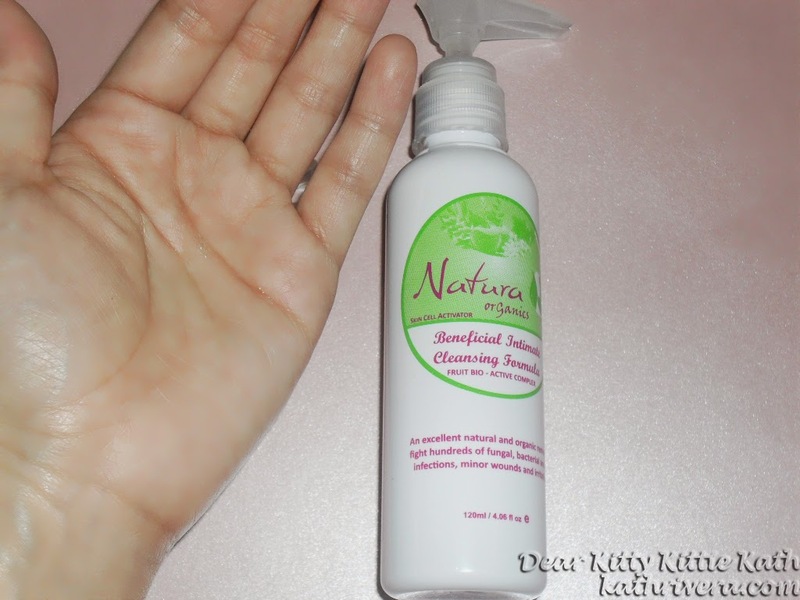 Have you tried using organic feminine wash before? Share your experience dearies! 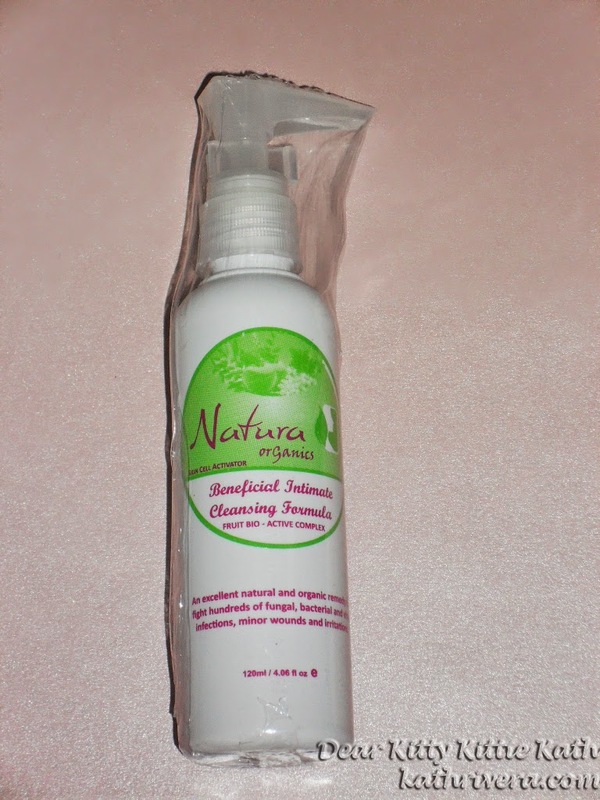 Disclaimer: The product was sent to me by Natura Organics for review. The views expressed here my honest opinion about the product. Great review! Keep it up. I love organic products so I am really interested with this one. This is a must-try for intimate cleansing. i love organic products because its safe to my skin and very affordable. Thanks for this review. what a great product! i LOVE Organic products! Great review. I love anything organic, sounds VERY interesting. I love how you break it down into likes and don't likes. Makes it easier to get a good sense of the product. Thanks for shairng. I love that it's organic. Looks like a great product! Thank you for the review.. I would rather have anything organic then chemically enhanced..
Gotta love organic products, and I imagine they would be particularly beneficial in skincare - or any health and beauty product for that matter. Great review! I have not tried this. I am the most ungirly girl ever! I normally just use bar soap. I will one day .. hopefully.. look into stuff like this. That looks like a great product. I love when they are organic and natural. I have been very interested in organic cosmetics lately. I love anything that is organic!! Seems to be a great product! Thank you so much for sharing!! This is great. I always love finding new products, especially if they're organic. Thanks for sharing. It's nice to know that it's very gentle and organic. That's the only kind of thing that I'd be ok with using in this way. Organic for disinfectants is the way to go! Thanks for sharing. I wouldn't consider that cheap for that size, maybe it is for over there. But as long as it gets the job done, it's worth the price. I love the nature products for our bodies. We have to much junk for everything else going into our body with out us even knowing. I will have to try this product. Thanks for sharing. I love organic products! I have never heard of this product. Thanks for the introduction. Sounds like a great product! I have never used anything like this before. Another great review! I can't wait to see how it smells! Looks like a really good product and amazingly inexpensive for something organic. Lucky you getting sent things to review!